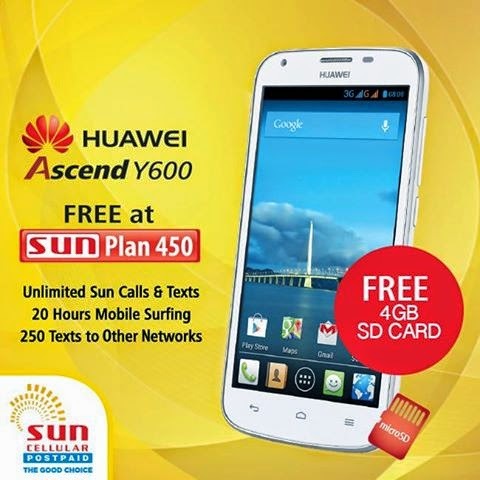 Sun Cellular offers Huawei Ascend Y600 with 4GB microSD card at their Sun Plan 450. Aside from the device, user can also get unlimited Sun calls and texts, 20 hours mobile surfing and 250 texts to other networks. Huawei Ascend Y600 features 5-inches display with 1.2 GHz Dual Core Processor, 512MB of RAM, 4GB internal storage,5 MP Rear Camera, 0.3 MP Front Camera and 2100mAh battery.